I often wonder why there is no provision to adjust the maximum value of a scroll bar in Excel based on a cell value. Had this been available, a scroll bar would automatically adjust its maximum value when the cell value changes. Until the time it is not made available by the Microsoft Office team, this tip can help you link the maximum value for a scroll bar to a cell. Do not have the developer tab?? 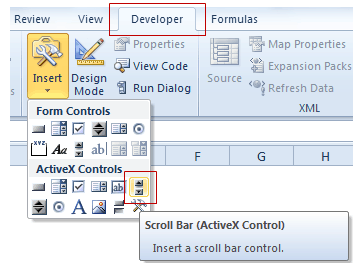 Read here on how to add the developer tab to the ribbon. Click Anywhere in your worksheet to insert the Scroll Bar. 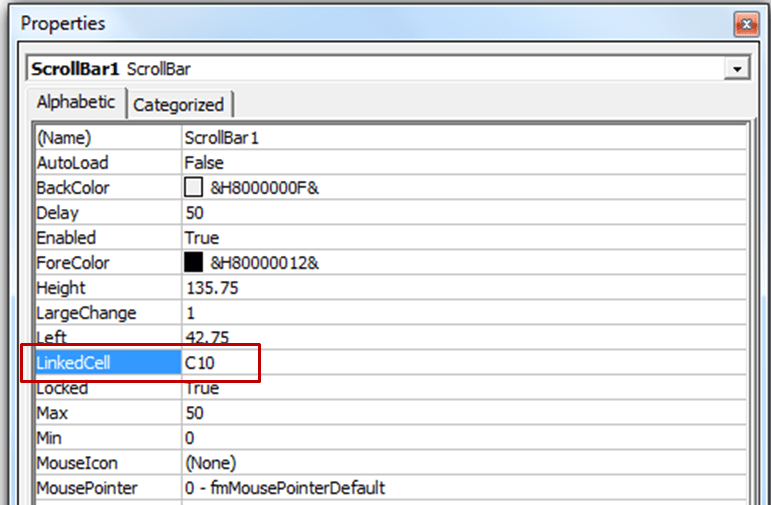 Right-click on the Scroll Bar and select Properties. Set the linked cell as C10 and close the properties box. I have used C10 in this example. You can have a different cell where you have the maximum value. Close the VBA Editor window. Go to the Developer tab and left-click on Design Mode button. That’s It!! You Scroll Bar is all set to be used. Note that since the file has a macro, you need to save the file in either .xls or .xlsm format. Go to Developer Tab click on Design Mode. Double click on the scroll bar. In the VBA Editor, Press F5, or click on the Run Sub/User form button. How to Create Dynamic Labels in Excel Scroll Bar. How to Insert and Use Check Boxes in Excel. How to Insert and Use Radio Buttons in Excel. 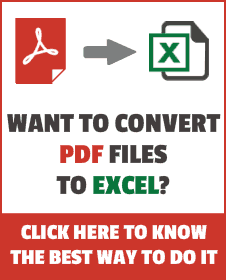 Free Online Excel Training (7 Part Online Video Course). Hi great tutorial, if I wanted the scroll bar to always display newest data added at the bottom of the scroll whenever added. How is this possible?